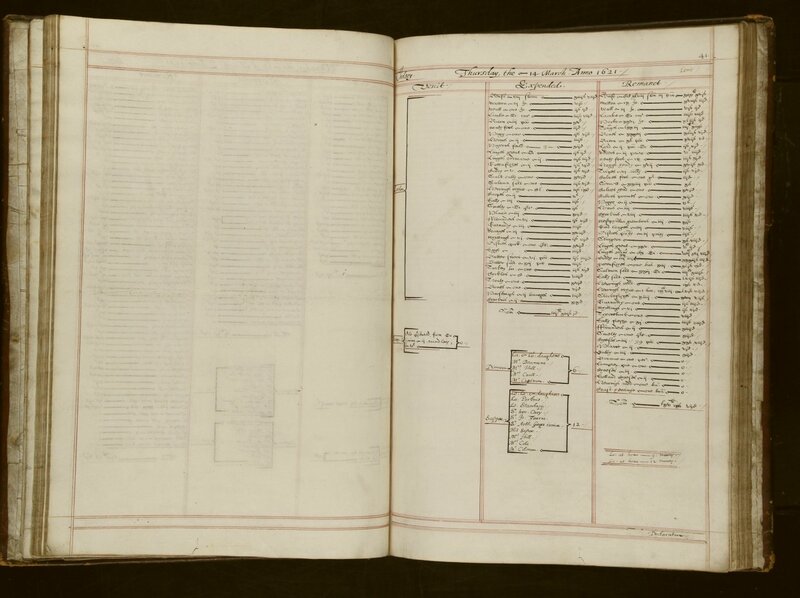 Accounts of household expenditure on diet and inventories of furniture and equipment at the house of Anne Cranfield, Countess of Middlesex, at Chelsea. By Morgan Colman, pensioner of the Charterhouse, 'a poore cast-downe gentleman', and finished by him on 31 October 1622. It contains: Daily statements, with weekly summaries, of the consumption of provisions, 15 February-14 March 1622. The names of those present at dinner and supper daily are stated (ff. 6-43).